We love, love, LOVE organizing tips! If you browse Pinterest or search for a specific room on Google, you’re sure to find a solution for any organization issue you have…. Too many stuffed animals and not enough horizontal space? Hang a rope from the ceiling and clip them to the rope!…Can’t keep your pans from slipping and sliding in the cupboard? Use vertical retention rods to create slots for them!…Spices rolling around your cupboard? Secure them to the door with mop holders!…Okay, you get the point. 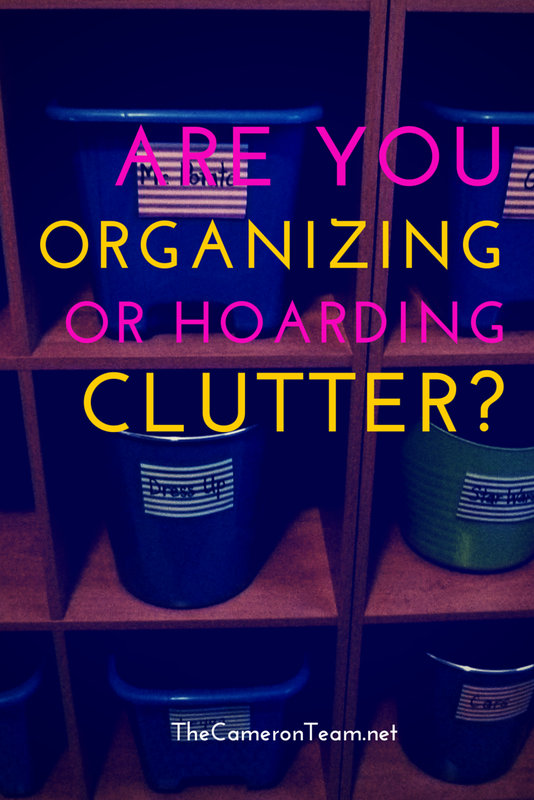 But at what point does your organizing become straight-up hoarding? Sure, all your belongings might look neat and systemized, but how much of it do you actually use? It makes me question if all of these organizing tips are not just enabling us to keep a whole lot of what we don’t really need – “stuff” taking up space and collecting asthma inducing dust – when there’s really an underlying issue. Maybe discarding these items feels like a burden (electronics can be a pain to properly dispose of) or they’re items you’re emotionally attached to (belongings of a deceased parent); either way, organizing them seems much more appealing than actually taking the steps to sort out the truly important items from the clutter. Think back to the last time you really cleaned out a room. What were you left with? Space! You didn’t have to search to find anything, and you could see the walls and floor. It was like a weight had been lifted from your mind, because it was no longer trying to process the clutter. It really was a mood lifter! 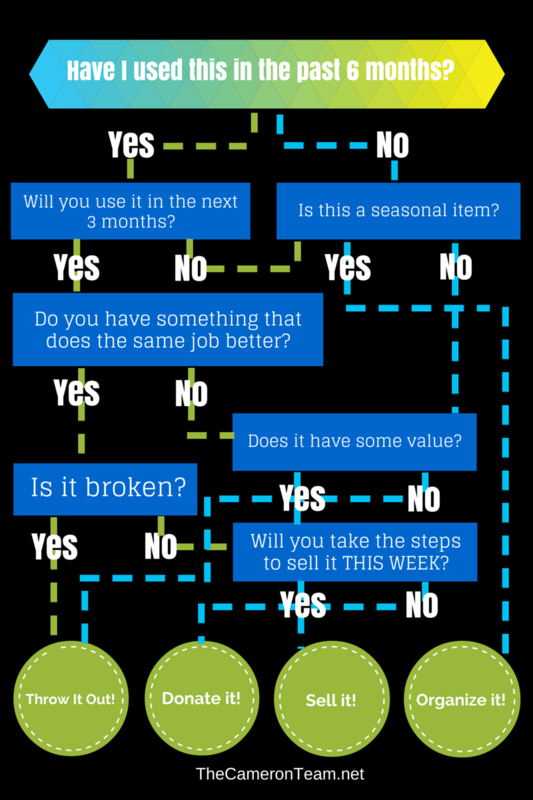 Following this flowchart will help you to eliminate much of the extra “stuff” in your life, but you have to be honest with yourself in order for it to work. If you don’t trust yourself to not make excuses, ask a friend or relative to help. Each of us usually have at least one person in our lives who is good at questioning our motives, even when we don’t want to hear it. If you’re in the Wilmington area, keep an eye on our Facebook page. When we hear of recycling events, like those for electronics and computers, we share them there. We also would love for you to share in the comments any tips YOU have for reducing clutter in your life.